Arrival in Jerusalem, Gods city. The city whose history can be heard in the whispering of the wind along the walls, where every stone tells a wondrous story of a city that has drawn millions of faithful pilgrims for thousands of years. Arrival in Jerusalem and check-in at the hotel. Shabbat, the 7th day of the week and a resting day, is a day apart. 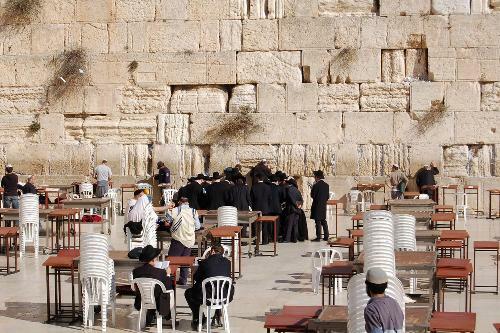 Visit the Western Wall, as thousands of Jews and visitors from around the world, gather to welcome the Sabbath. Join in Shabbat prayers with thousands of others. Enjoy a “Shabbat of a Lifetime”, the hospitality of a Jewish home and a real Shabbat dinner. The Walls of the David Citadel serve as a stage for a nighttime show that tells the story of Jerusalem, through a celebration of light, images and sounds. Enjoy the Tower of David Sound and Light Show. Travel to Samaria, the Biblical Heartland, and an area of highly strategic as well as historical and spiritual importance. 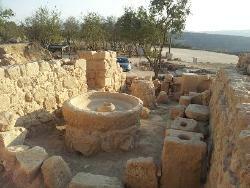 In the Bible, Elon Moreh is where God told Abraham that the land of Canaan is given to his descendants (Genesis 12:6). 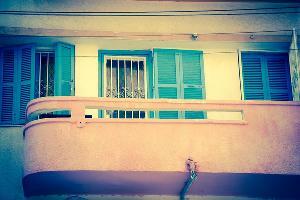 Today a small community of Jews reestablished Elon Moreh, just outside Sechem – now Nablus. A visit to the community of Elon Moreh. An outlook over Nablus, biblical Sechem, with Jacob’s well and Josephs tomb from Mount Gerizim. Mount Gerizim is the Biblical Mount of Blessing from the book of Joshua and the religious center of the Samaritans. Visit to Hebron. 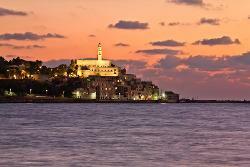 Walk in the footsteps of Abraham, Isaac and Jacob, Joshua, King David and the Maccabees. 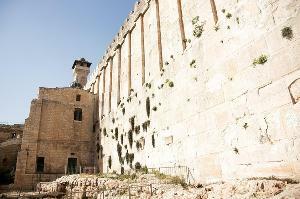 Visit the Tomb of Machpelah. This Tomb of the Patriarchs and Matriarchs attests to the antiquity of Hebron’s traditions – its walls date back at least 2,000 years. Visit the Tomb of Rachel, just outside Bethlehem. 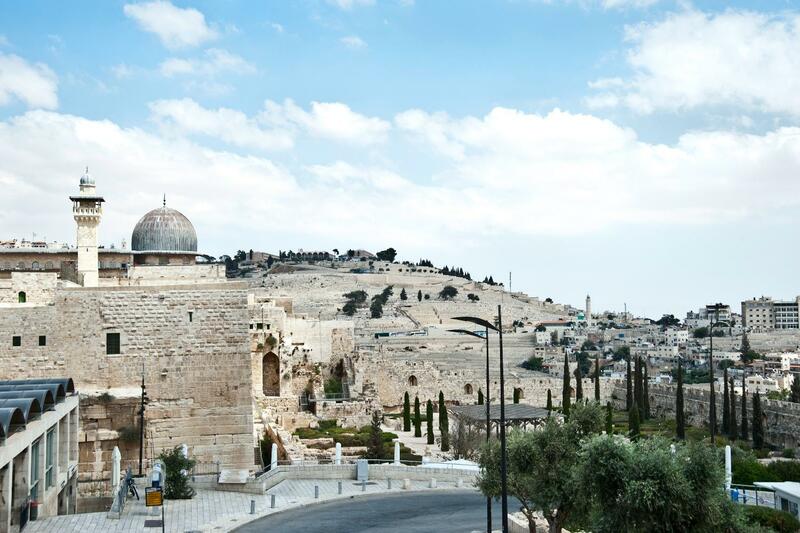 Walk through the Biblical City of David, the very roots of Jerusalem, one of the most fascinating archaeological sites in the world, the number 1 place in the world where archaeology confirms the Bible. Visit to Qumran, where archaeologists found the oldest bible ever found, the Dead Sea Scrolls. Masada: Heroism or just a Best-seller? Herod’s desert fortress Masada, a symbol of Jewish resistance against the Romans. Ascend Herod’s mountain fortess of Masada by cable car. Explore how this story affects Israeli society and military to this very day. The Hebrew word for desert ‘Midbar’ comes from the Hebrew word ‘daber’- to speak. During the ages, the desert has always been a place to pray and hear Gods voice. 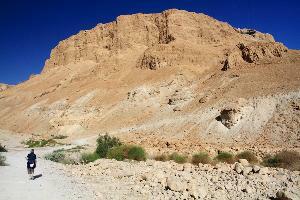 Visit to the nature reserve of Ein Gedi with its beautiful waterfalls and the place were David hid from King Saul. Start the day with prayer and devotion. Visit to the Garden Tomb. 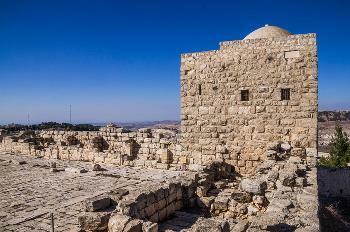 This ancient cemetery is a moving site in which to recall the crucifixion and burial of Jesus. Spend time in these peaceful garden surroundings in prayer and fellowship and communion. A visit to the Knesset, the Israeli parliament. Discover the essence of the Israeli democracy and the role and responsibilities of the Knesset. 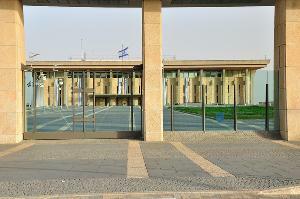 The tour also relates to the principle art works in the Knesset building. 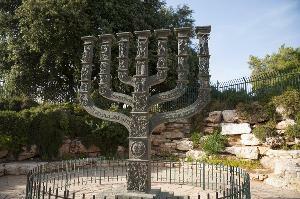 Halt at the big Menorah outside the parliament building, picturing several biblical scenes. Meeting with a minister of the Israeli government, or a member of the Israeli parliament. 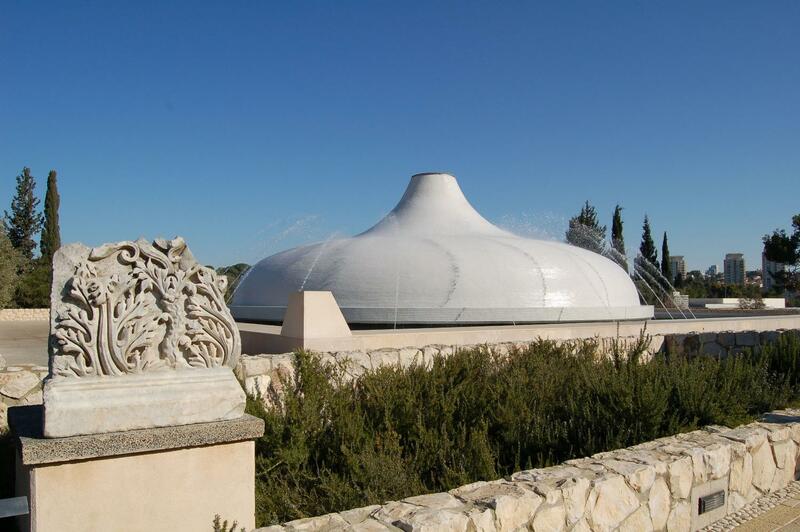 The long way to an own state: visit the Diaspora Museum of the Jewish People. The exhibition tells the history of the Jewish people outside Israel, longing to return to the Jewish state of Israel. Different facets of Jewish life in the Diaspora are illuminated: family life, community life, religious life, culture, contacts to non-Jews and the return to Zion. Visit to the Independence Hall. On the 14th of May 1948, the Declaration of Independence of the State of Israel was signed in a small hall on Rothschild Avenue in Tel Aviv. This Independence Hall is part of the famous UNESCO World Heritage buildings in Bauhaus style. Evalution and reflection on the tour. Summary & Conclusions. Listed activities and speakers are subject to confirmation.